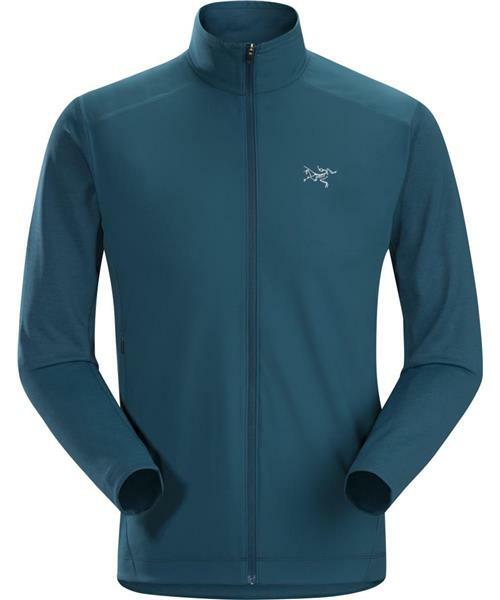 A simple, effective cool weather layer for trail runners, the Stradium Jacket gives lightweight warmth for early morning starts, evening returns, and rest and recovery periods. Light and soft, the air permeable Sumire™ polyester combines its thermal performance with temperature regulating airflow and exceptional moisture management. Diem fabric enhances temperature regulation and weather resistance in the shoulders and arms. A high collar gives additional warmth. Updated fabrics enhance thermal performance and moisture management. * Diem™—100 polyester, 110 g/m². Lightweight, breathable, stretchy textile that is quick-drying, wrinkle resistant and easy to care for.